Despite the broad range of studies devoted to Frederick Douglass and his Narrative, almost no scholarship concentrates on how we might utilize technology to deepen our understanding of Douglass’s life, his writings, and his connections to African American literary and black diasporic studies in general. More broadly, there is a lack of scholarship on black artistic writing and digital humanities. More work must be done in order to fully realize the ways that technology can enhance our engagements with a figure like Douglass. 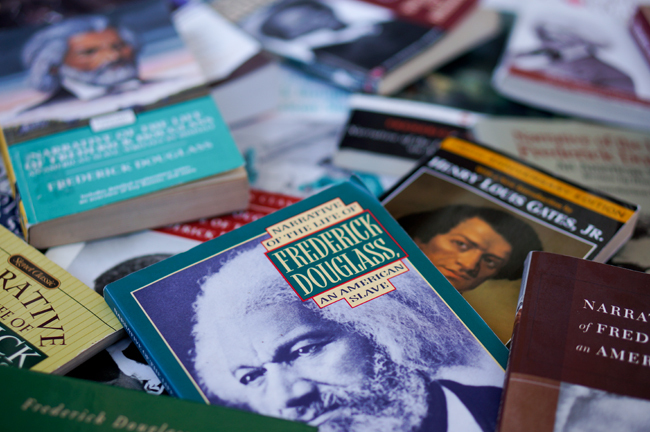 Between now and March 2016, we – a diverse group of scholars all of whom focus on African American literature – are producing a series of interrelated blog entries and social media posts concentrating on Douglass. The project is designed to highlight some of the ways that scholars might utilize new technologies and social media to advance understandings of African American literary art. At the same time, the contributors are participating in an exchange of ideas that will publicly showcase the possibilities of collaboratively producing knowledge in the field. Ultimately, our focus on Douglass, black poetry, rap artists, pedagogy, blogging, and text-mining will assist in pinpointing the convergence of technology and African American literary studies. The contributors to the project include Elizabeth Cali, Jeremiah Carter, Kenton Rambsy, Erin Ranft, and me. We plan to present our findings as a group at the College Language Association conference in April 2016. In the meantime, we'll post short writings on Douglass here.